Unforgotten Hero tells the captivating life story of Second Lieutenant Jimmy L. Escalle, a U.S. Air Force fighter pilot who became missing in action during the Korean War. Growing up in a small farming town in California’s San Joaquin Valley during the 1930s and 1940s, Jim was a devoted son, a caring older brother, a talented athlete, and a young man of moral character who always put others first. 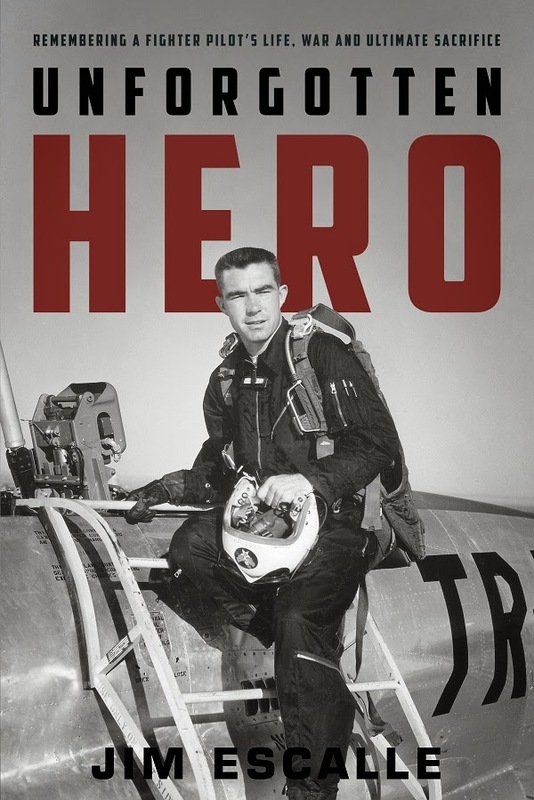 Called to serve his country after the Korean War began, his childhood dream of becoming a pilot someday became a reality when he joined the Air Force and eventually got the opportunity to fly the F-86 Sabre, regarded as the most advanced jet fighter of its time. Soon after arriving in Korea he went on his first missions, which were MiG Alley sweeps. However, since Jim was assigned to a fighter-bomber squadron, the majority of his combat missions were air-to-ground. These were the most dangerous missions. In Korea, more pilots had been killed or listed as MIA due to being shot down by ground fire rather than enemy aircraft. For Jim, this fact was realized only five weeks before the armistice was signed. He paid the ultimate price for freedom when he disappeared while on a combat mission over North Korea and was never seen or heard from again. Jim is the nephew of 2nd Lt. Jimmy L. Escalle. He is a graduate of California State University, Fresno, and has been involved in public education for over thirty years.